The whiskey presents a big floral, almost botanical nose. There’s a mild sweetness upfront followed by a rich nutty caramel and subtle flavors of vanilla. The uniqueness of this whiskey creates quite a special base spirit in cocktails. 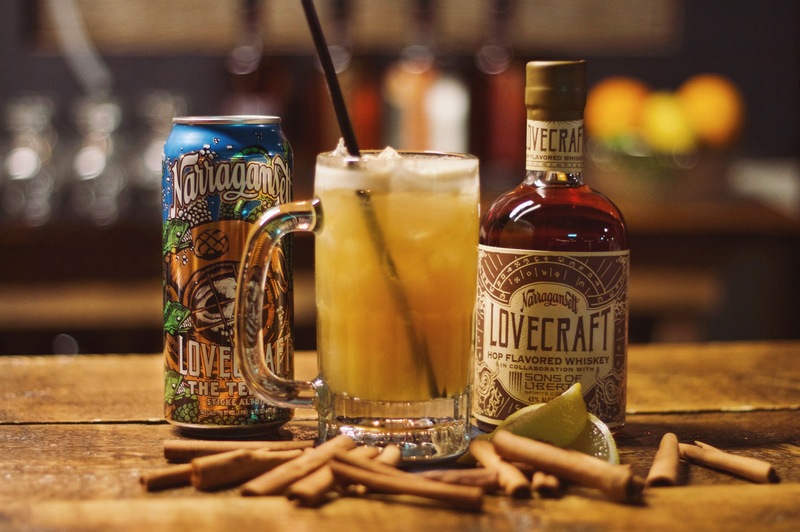 We spent some time with Sons Of Liberty’s cocktail maestro, Ian Single crafting (and drinking) some Lovecraft Hopped Whiskey inspired cocktails. The drink below is a play off of the classic Gold Rush.